2 year old greyhound Petra is a cute young lady that just seems to be taking everything in her stride. She has beautiful markings – black and white patches with speckles on her black bits. She walks nicely on the lead, is good with other dogs and is just a nice straightforward dog. She would suit most families. 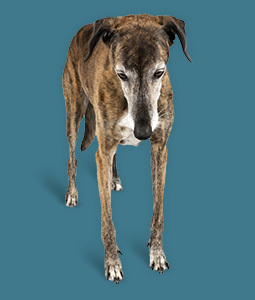 If you have children please read the section on children and hounds at https://www.kentgreyhoundrescue.com/dogs-adoption/dogs-and-children. Petra has a pet passport. Our website is dedicated to helping to find good homes for abandoned, abused or neglected greyhound and lurchers. 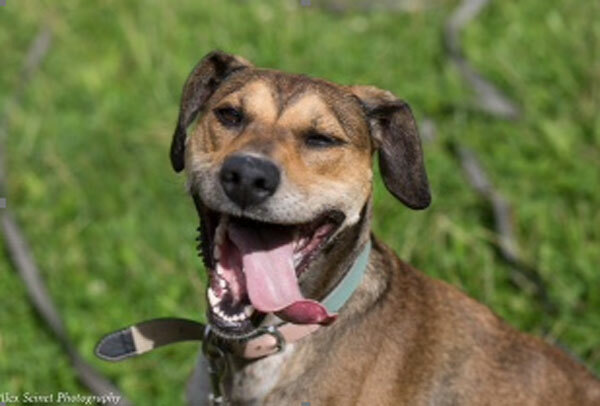 We have a list of rescues that help these loving, gentle dogs. If you are thinking of giving one of these dogs a second chance by adopting a greyhound or lurcher, please contact one of the rescues on the list. We have a frequently asked questions page, but if you have a question about greyhounds and lurchers that is not on the page, please contact us.